In Lada Nakonechna’s work, exhibition space is a certain context of scenes and positions of things, a space of everyday life in which the actions unfold—but automatically, in "background mode", the acceptable operation of which does not require deliberate human actions. 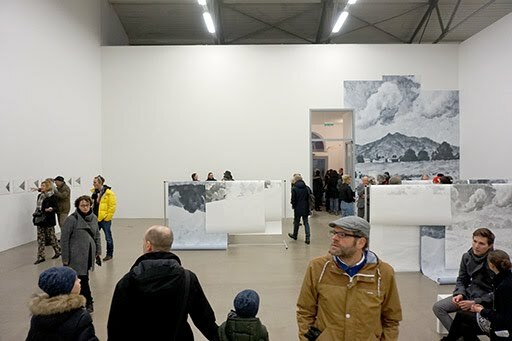 At the same time, the artist is interested in the relationship within this "background mode" between the established and existing and the possibility of the real transformation of everyday life. 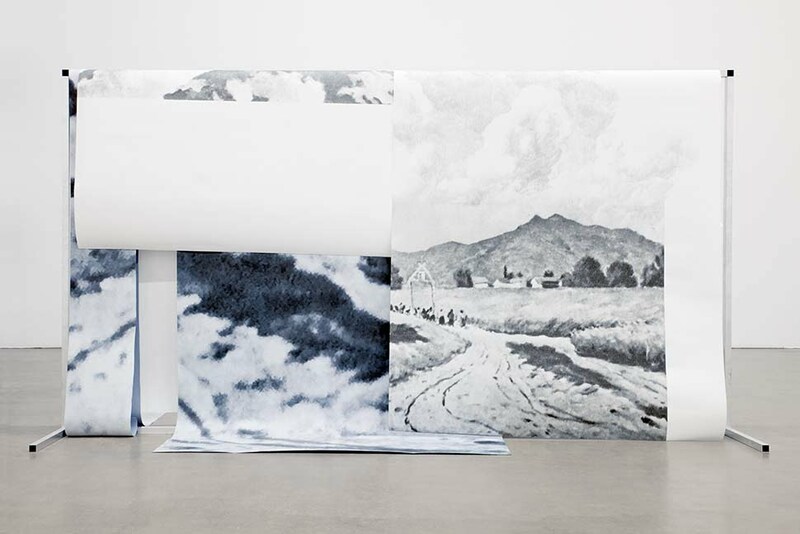 In the exhibition space, the protagonist is the motif of the traditional picturesque genre painting—the rural landscape. The idyllic, commonplace theme of the landscape lies on the surface, but it is an "accomplice in the crime": the realistic surface of the image is intended to be a representation of reality, while the intermediary elements remain hidden in the background. The use of the landscape from artist Mykola Burachek’s “Road to a Collective Farm” (1937) is a clear reference to the history of the former socialist country; in particular, to the history of industrialization, the collectivization of agriculture and the cultural revolution, which ended with the centralization of the cultural management system, which to this day works by established requirements. 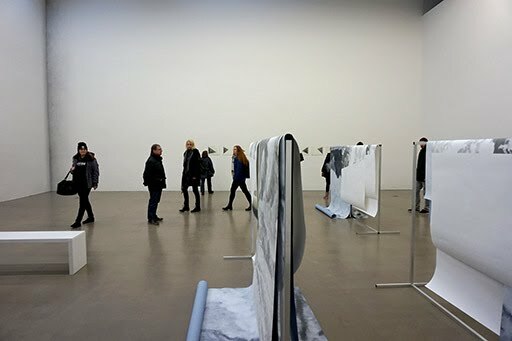 By analogy with the representation of the landscape motif as a transparent semantic space that does not allow for self-reflection, the exhibition space includes fragments of theatrical, ceremonial public rituals—practices that produce and stage reality and which are called upon to cultivate a certain kind of sensuality, or more precisely, insensitivity to what disciplinary types of power are behind these rituals. By literally multiplying and manipulating the image and peering into its structures, Nakonechna is wading through its surface. Conversely, she puts people in a variety of roles—from the passive spectator to one driven by directives and one seized by the guiding foreshortenings. 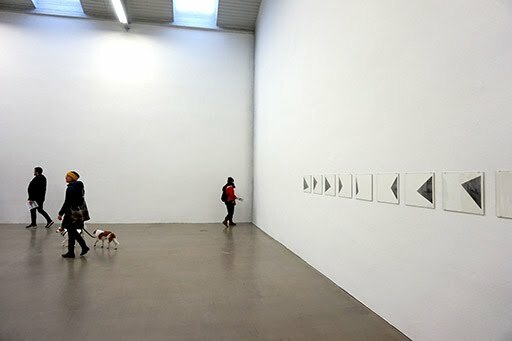 These manipulations evoke the automatic programming of the “background mode” of everyday life; at the same time, they release the unforeseen possibility of action in an already established, daily life. В работе Наконечной выставочное пространство есть неким контекстом сцен и положений вещей, пространством повседневности в котором разворачиваются действия - но автоматически в “фоновом режиме”, которому для удовлетворительного функционирования не требуется целенаправленных действий человека. В то же время художницу интересует отношение в этом “фоновом режиме” между устоявшимся и уже-данным и возможностью реального преобразования повседневности. В выставочном пространстве главным героем становится мотив традиционной живописной жанровой картины – сельский пейзаж. Идиллический банальный сюжет пейзажа лежит на поверхности, но он “участвует в преступлении”: за реалистической поверхностью образа, претендующим за отображение реальности, остаются спрятанными опосредующие его элементы. Использование пейзажа художника Николая Бурачека «Дорога в колхоз», созданного в 1937 г. – это конкретное обращение к истории бывшей социалистической страны, в частности, к истории индустриализации, коллективизации сельского хозяйства и культурной революции, закончившейся централизацией системы управления культурой, которая и по сей день работает осевшими предписаниями. По аналогии с представлением пейзажного мотива как прозрачного смыслового пространства, которое не дает себя рефлексировать, выставочное пространство включает фрагменты театрализованных, церемониальных общественных ритуалов – практик, которые продуцируют и инсценируют реальность и которые призваны воспитывать определенного рода чувственность, а точнее, нечувствительность к тому, какие дисциплинарные разновидности власти стоят за этими ритуалами. Наконечная, буквально приумножая и производя манипуляции с образом, всматриваясь в его структуры, продирается через его поверхность. С другой стороны, она ставит человека во множество ролей – от пассивного зрителя до ведомого директивными указаниями и захваченного направляющими перспективных сокращений. Благодаря этим манипуляциям проявляется автоматическая игра программирования «фонового режима» повседневности и одновременно освобождается непредвиденная возможность действия в уже-данном повседневности. It is calming to have a plan. Yet reality is shaken if you are asking yourself where the plan comes from and how much of it was prescribed to you or is based on your own desires. 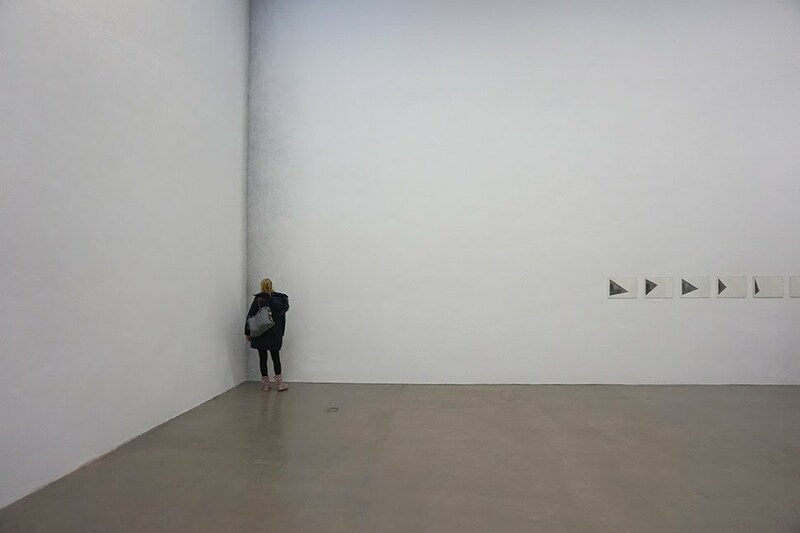 The installation “Following the plan” by Lada Nakonechna works exactly with this. 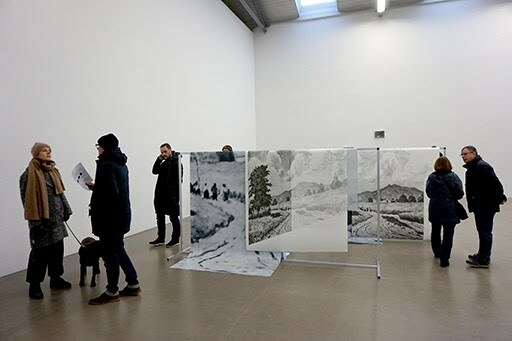 The large-sized drawings based on the painting “Road to collective farm, 1937” by Mykola Burachek widens your view and lets you follow the group of people displayed. Beautiful landscapes connotes prosperity and unity. But those are just façades, a construction scenery – a partition wall out of reflection and original. 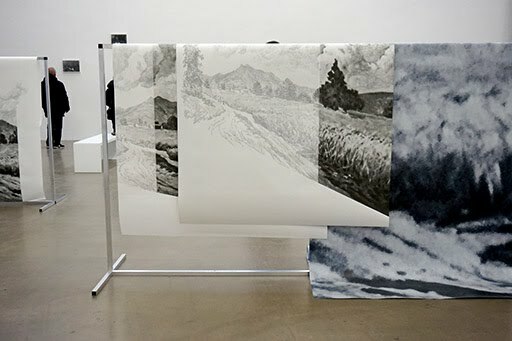 Furthermore, a drawing, that puts the viewer as a part of the whole, shows a location. The era of Stalin is the origin of the work. With her work “Following the plan” Lada Nakonechna transfers the question concerning our role within the system into our time. Which plan, what embossing are we after? Is there a restart button? Historic and representative pictures from the collective memory are the basis of the works from the series “Some examples from the field of management”. Lada Nakonechna reworked and edited them. The focus of the series is put onto gestures and hands like a spotlight. On the first glance there are neutral documents of constructive political and cultural actions, yet behind those events lays a well-thought through enactment. Here Lada Nakonechna again wants to sensitize us to hidden messages in her works – in the social circumstances, that appear in them and in the construction of history and ideology.